For more than 20 years, Radok has been building highly scalable Internet business solutions that focus on creating online success. This is accomplished through comprehensive research and planning, implementation and aggressive Internet marketing that is custom-tailored to meet your desired goals — and your budget. Design Excellence. Radok’s award-winning website designs are professional, intuitive, and include fully-implemented SEO features – all designed to provide credibility, brand value, mobile accessibility, maximum traffic, and the best sales conversions for your company. Capabilities. Our website design and marketing team have a diverse Internet and business background encompassing a variety of industries, allowing us to quickly identify, analyze and implement various Internet strategies and marketing opportunities custom designed for the success of your business. SEO. 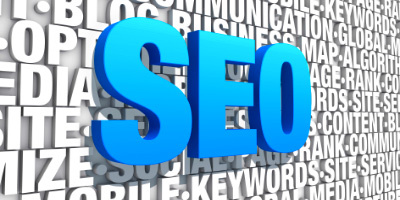 Our SEO experts deliver the best search rankings in the industry. We routinely get our clients to the top of the search engines where there are as many as 100 million or more competing results! Media. Radok owns and operates one of the largest media networks on the Internet. As a Radok client, you will have immediate access to millions of targeted customers for your company’s products and services. I Already Have a Physical Store, Do I Still Need a Website? Yes! For a business to thrive, it is important to develop as many profit centers as possible. Having your storefront combined with online sales provides an opportunity to significantly increase exposure to your customers – and increase your sales without the added costs and overhead required to expand a brick & mortar business. Radok has developed a large number of sites for companies with storefronts that want to capture a larger local, nationwide – or worldwide – audience. We understand the nuances required to structure an online program that doesn’t interfere or compete with your physical store business. While there will always be some cross-sales, a well-structured Internet strategy will actually help increase and support your physical store locations – with the Internet being an additional profit center for your company. And since credibility is always a factor in a successful Internet campaign, having one or more physical store locations is a big plus for your online operations. complete control over your shared server! It’s now easy to add your own email addresses, setup full server backups, FTP, and Log File Access with your latest visitors, Webalizer, Awstats, and raw access logs. 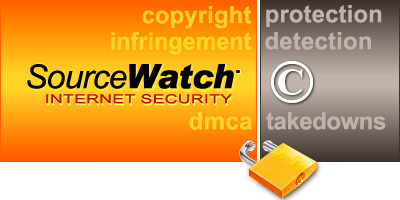 Security is fast and easy with password protected directories and hotlink protection. You can also setup subdomains and redirects, and provide full database backups. 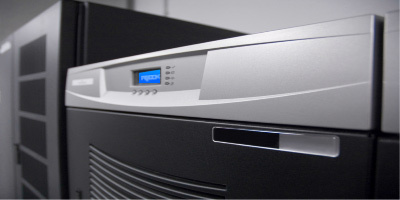 Our cloud hosting packages nclude a full suite of linux support software including MySQL (v 5.0.95), phpMyAdmin, CGI center, Perl modules, Apache (v 2.2.21), PHP (v 5.3.9), RubyGems, and Fantastico Deluxe for loading WordPress and other Blog/CMS platforms. Radok’s online media network provides immediate promotion for its clients through dozens of popular Radok sites that reach millions of visitors every month. We deliver fast and easy access to text link and banner advertising that are essential ingredients to your online success. Radok operates one of the largest media networks on the Internet. Our news websites alone include daily news, men’s news, women’s news, political news, technology news, tabloid news, daily videos, word of the day, and metro city guides. 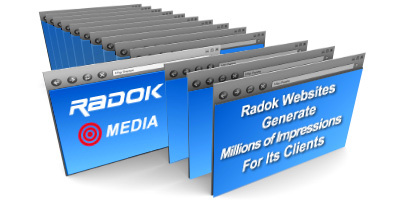 As a Radok client, your company is added to Radok’s exclusive media network of high quality websites that provide powerful text ads generating significant traffic at a fraction of the cost of traditional advertising. We also own a dozen sports websites that focus on news and information covering the most popular sports coverage, from auto racing, baseball, basketball and football – to hunting, fishing and sailing. Additional local city guides are under development covering the following metro markets: California, New York, Florida, Atlanta, Dallas, Denver, Houston, Boston, Baltimore, St. Louis, Las Vegas, Seattle, and Washington DC. Radok Media has a variety of media opportunities designed to get results. We can help you develop a local or national strategy that features qualified prospects from dozens of websites and millions of monthly impressions. Ad placement for Radok Media can be setup quickly for a variety of target markets that are custom tailored to your audience. Prices starting as low as $29.95/month. Email us your requirements and we’ll get to work! Radok’s Internet marketing services use SEO, online advertising, and AdWords campaigns to match up qualified buyers looking for your products and services, with cost-effective marketing solutions designed to efficiently direct these buyers to your website. 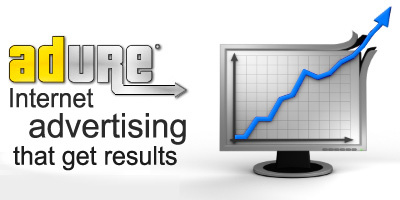 Internet Advertising consists of online media text ads, combined with Google AdWords Pay-Per-Click (PPC). These programs provides multiple campaigns, keyword and market-specific text ads designed to drive traffic to your website. AdWords advantages include: Excellent traffic, can target local markets, good sales conversions, pay only when users click to your website. As a Radok client, your company is added to Radok’s exclusive media network of high quality websites – one of the largest media networks on the Internet – that provides powerful text ads at a fraction of the cost of traditional advertising. 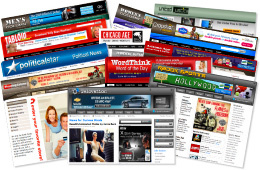 The Radok Media Network delivers high-traffic exposure to your prospective buyers through thousands of powerful anchor text ad links pointing to your website. Combining Radok’s proven marketing program with a well-designed, professional website is an important factor to ensure that your site is user friendly and provides the highest rate of sales once traffic reaches your site. It is important to maintain a balanced approach to online promotion that consists of aggressive search engine optimization (SEO) for top organic results, along with paid ad campaigns like Radok’s media network and Google AdWord’s Pay-Per-Click (PPC) advertising. These proven marketing methods provide an excellent balance for dramatically increasing qualified traffic to your website. 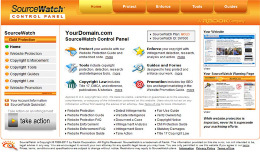 • Search Engine Optimization. SEO provides one of the best methods for attracting cost efficient, targeted traffic that provides the highest sales conversions at the lowest cost. 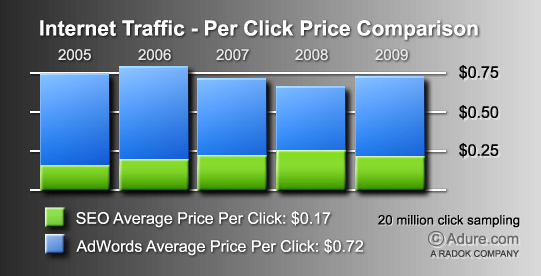 • AdWords PPC Advertising. AdWords is Google’s pay-per-click program that is by far the largest and most cost-efficient paid advertising program available. The Radok team will assist you in determining what level of advertising is necessary to get your desired results, and recommend any website changes that are necessary for SEO, improved content, intuitive navigation, and professionalism – all designed to provide more traffic and a positive user experience that results in maximum sales conversions for your business. Search engine optimization (SEO) is the process of getting prominent positions at the top of the free organic search engine results pages for your website’s major search terms. Its advantages include: Excellent traffic and targeting, much lower traffic costs, strong sales conversions, and better credibility than paid ads. Internet marketing is the essential link that connects buyers with your website. Radok provides a balanced marketing strategy that is cost-efficient, targeted, and offers the highest traffic and sales conversions for your business. 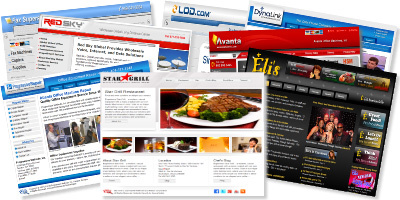 Since 1995, Radok has been delivering on its promise to provide the best Internet marketing services on the Internet. Radok clients have thousands of page 1 search results in competitive markets where there are 1 million to 100 million or more competing results. From extremely competitive keywords, to product models and service terms, Radok has the proven history, experience, and industry knowledge that you can count on, to get your website prominently positioned at the top of the major search engines. In a recent five-year Radok study2 of more than 20 million clicks, Search Engine Optimization (SEO) organic traffic cost an average of 17 cents per click, with AdWords traffic at 72 cents per click. Compare that to the cost of sales leads from Yellow Pages ads ($1.18)3 and direct mail inserts ($9.94),3 and you can quickly see the advantages of using powerful search marketing. There are many advantages to Internet marketing over conventional advertising such as Yellow Pages, newspapers, and direct mail. For example, 90 percent of business buyers use the Internet during their purchasing process, and 77 percent use the Internet to find a local or national source to make their purchases. The key to success is ensuring that your website is prominently positioned and seen by these prospective buyers, since 74 percent of search engine users don’t look past the first page – and 92 percent stay within the first three pages of the search results. products and services from local, national and/or worldwide target markets. Radok Internet Consulting has a wealth of knowledge and experience in designing high-quality, successful websites for companies across many market sectors. With our considerable experience, our team will develop an Internet strategy that is custom tailored for the success of your business. We build highly scalable Internet business solutions that are focused on assisting companies in realizing their online success. Every Radok-designed website is developed with three primary criteria in mind: The ability to efficiently attract new prospective clients, short-term client conversion, and building long-term customer retention. We develop hand-coded HTML and custom graphics to assure a unique design that provides optimum appearance, functionality, maximum sales conversions, and a friendly and intuitive online experience. After comprehensive research and planning, creative hand-coded designs and implementation and an aggressive promotional program is custom tailored to meet your desired goals — and your budget. We have a diverse Internet and business background, having consulted to clients in a variety of industries for more than 20 years. This allows us to quickly identify, analyze and implement various Internet strategies and marketing opportunities designed for the long-term success of your business. Whether you’re considering a new website, updating an old website, want to super-charge your traffic with search engine optimization, or just have some questions about the Internet – give us a call or send us an email outlining your requirements. We will answer your questions, and even provide you with a free quote to help you get on the path to online success. Put our experience to work for you today!